Digital property brochures drive more property enquiries to a sales campaign while promoting your brand and services to property seekers and potential vendors. 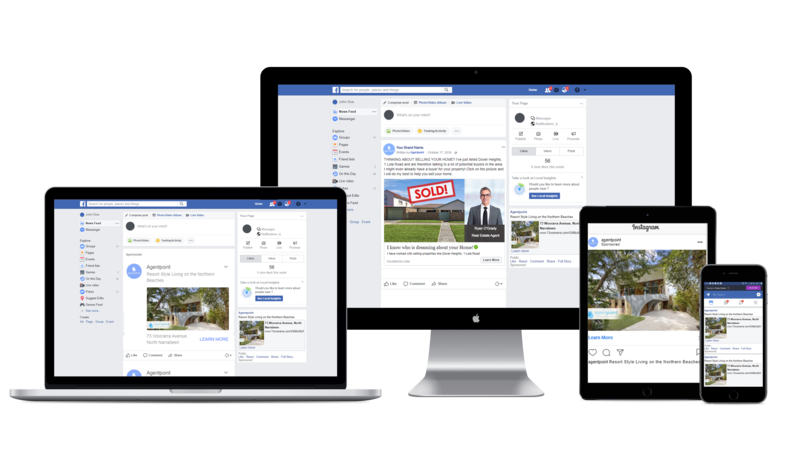 Our platform allows you to produce individual property websites that are personalised to each property seeker, retarget advertising to them via facebook then track behaviour to tell you who is ready to purchase. This information is then presented in a weekly report that can be shared with your vendors. Enter your details below and you’ll receive an sms and email to your personalised digital property brochure. You’ll also see our ads retarget you around facebook. You then have the option to approve 3 paid facebook ad campaigns for that property within facebook. You’ll receive an email to approve the facebook ads and have the option to edit them prior going live on Facebook. 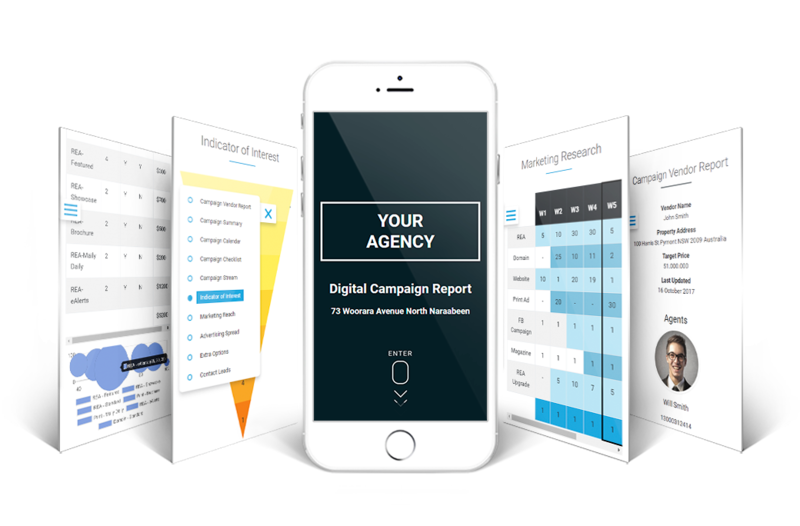 Receive weekly statistics around total engagement of contacts in relation to the property campaign that can then be used to decide who is ready. We utilize smart techniques to track contact behaviour and deliver this information so it can be digested by you and the vendor. This also includes providing a summary of feedback around engagement with your facebook ads. Digital Property Brochures are priced so you can easily include the cost in your vendor paid advertising. This fee includes an unlimited number of digital property brochures, sms, emails and facebook ad costs. 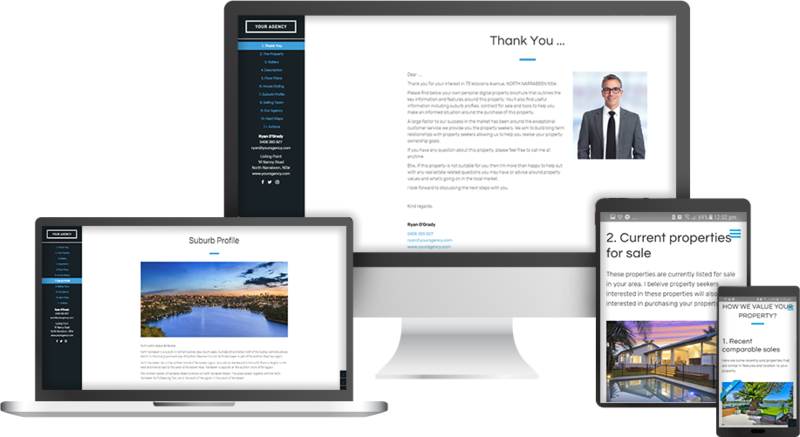 Note: There is a setup fee of $475 + GST per account which covers configuration of your initial digital property brochure templates, rebranding them along with the configuration of your properties and contacts to feed in from your CRM system. contactsDigital Property Brochures can be triggered to be sent automatically to contacts as they are entered into your CRM system. You have the ability to review, edit and approve your facebook property ads before they go live on facebook. 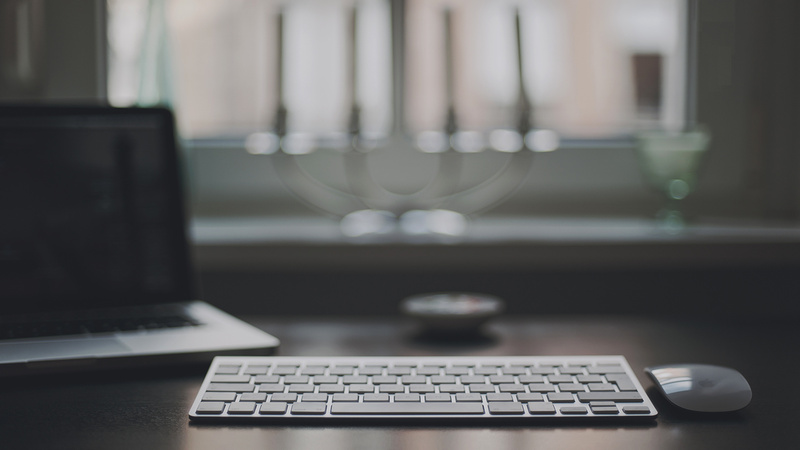 Your facebook ad campaigns will run for a total of 4 weeks. Pay the setup fee of $475 + GST and receive a digital property brochure for your first property for free. A saving of $299 + GST. Offer only valid for sign-ups before December 31, 2017.